Global M&A activity for the first quarter of 2017 was robust. There have been US$1.9 trillion in announced, completed, or pending M&A transactions. In comparison with Q1 2016, M&A activity increased by an incredible 72%, which is partially due to a weak start of 2016. 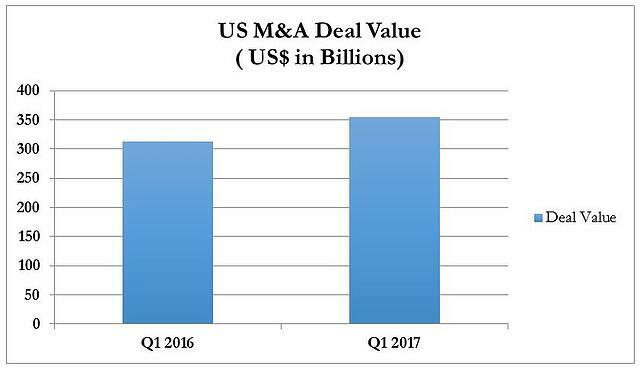 In the US, M&A deal activity increased in Q1 2017. Specifically, the value of M&A transactions was 13.2% above Q1 2016. In the middle market, there were 2,643 transactions for the quarter, the best first quarter since 2007. Internationally, European M&A in the first quarter increased 16%, in comparison to the same period in 2016, to US$215.3 billion. This transaction value was the best first quarter since 2008. British M&A activity remained relatively strong in the first quarter of the year despite expectations of a slowdown ahead of the country's exit from the European Union. M&A involving Asian companies fell 39% in the first quarter of 2017 to US$176 billion, the lowest level in nearly three years. Tighter regulations in China have made it tougher for Chinese firms to launch takeovers overseas, which had a major impact on the region's overall deal-making in the first quarter. There are a number of strong contributing factors to increasing M&A activity this year. First, sales and earnings growth is continuing, which portrays strong aggregate demand. Rising demand encourages CEOs to make acquisitions to expand their businesses. In addition, companies need to demonstrate growth to shareholders, which provides another reason to make acquisitions. 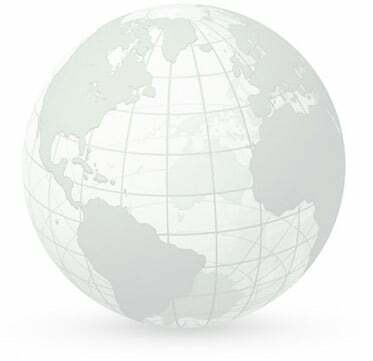 Second, the slowdown in emerging markets is forcing multinationals to find new avenues of growth. M&A is actually the quickest route to growth. Sometimes, it’s easier and less risky than innovation or cost cutting. Third, technology is also driving M&A activity. Disruptive industries such as Artificial Intelligence, FinTech and the Internet of Things are all continuing to contribute to M&A activity. To summarize, overall, the M&A outlook for the rest of 2017 looks very favorable.